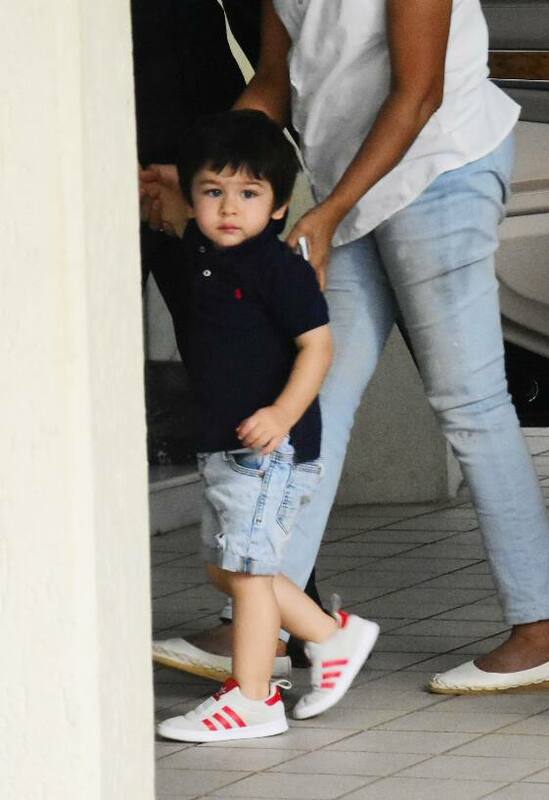 Bollywood's youngest superstar Taimur Ali was snapped in the city. Baby Tim donned a blue Polo t-shirt with denim shorts. At the tender age of two, Taimur is already the most popular star in his family. The shutterbugs track each and every move of this young superstar and he also acknowledges them. Although Kareena doesn't like media attention that he gets, Tim surely enjoys it! Baby Tim is the most searched celebrity on social media. His pictures and video goes viral on social media in no time.